Hog Roast Horsham- Passionate about Corporate Catering! 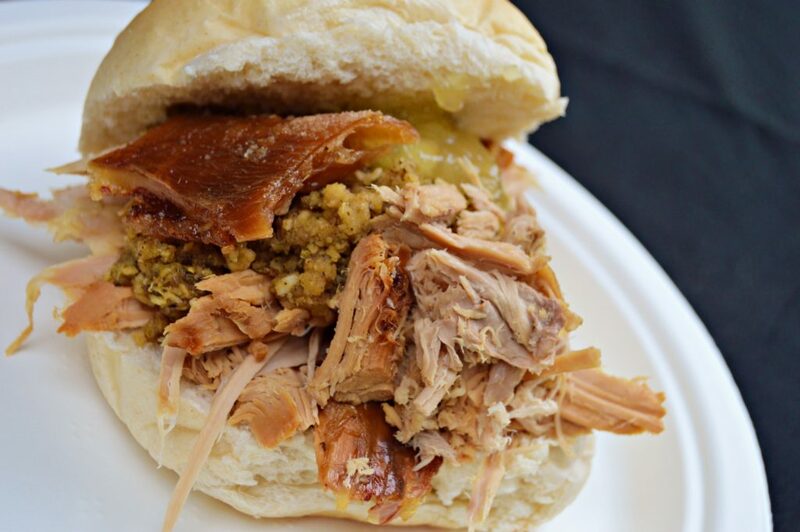 In addition to our work as wedding caterers and catering at private events and functions did you know that Hog Roast Horsham are also big names in the world of corporate catering? Over the years we have expanded our repertoire to become one of the first names people think of when it comes to slow-roasted foods, but our ever-ambitious team look to go further than that and want to be recognised as leading caterers for any and all events. This is why over recent years we have turned our attention to the world of corporate catering. Catering on this scale is often a last-minute thought and results in dry, dull buffets but not when you hire Hog Roast Horsham! Our professional catering team are able to cook inspiring meals for your corporate events no matter the size of your party. This is thanks to our flexible style of cooking which makes scaling the menu up or down a simple affair and means we do not have to compromise on taste. This week we were booked in by Gina, to provide a corporate meal at her place of work. As the HR manager of the office, Gina had been tasked with finding someone to cater at the companies end of the quarter event where the managers and employees get together to celebrate hitting that quarters targets. Gina told us that in the past the food at these events had been hit and miss with the last caterer simply just supplying a board of soggy sandwiches which left many people wishing they had brought their own packed lunch. We reassured Gina that we would be out to impress and arranged with her to provide our simple yet effective Hog Roast Horsham rolls. Hog Roast Eastbourne for a Clifftop Wedding Reception!